A home inspection can be a very stressful experience for both home buyers and home sellers. We have provided a list of frequently asked questions to help address any concerns of issues or questions prior to even listing a property on the market. The home inspection process is an integral part in the real estate transaction and is recommended by most Realtors. It is important that you understand the process and how to prepare. The first step in the home inspection process is for your home inspector to arrive at the property. Your home inspector will make introductions, explain what to expect during your home inspection, and ask about any questions or concerns you may have. The most comprehensive inspection can be completed when you become an active participant. 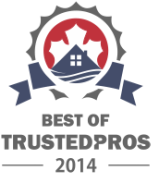 We always recommend that our clients attend the home inspection. Wear comfortable clothes and accompany your home inspector throughout the inspection. The only areas we ask that you not accompany the home inspector are the roof and the attic. Obviously, these are areas of high potential for injury and only the inspector should approach. Your home inspector will inspect the exterior of the property, starting with the roof and followed by a verbal explanation of any visible exterior issues found. ​After the exterior inspection is complete a thorough inspection of the interior is performed. This involves inspecting all visible, accessible areas and items, including the heating system, cooling system, interior plumbing, electrical systems, the roof, attic space and all visible insulation, the walls, ceilings, floors, doors, windows, basement or crawlspace area, and the foundation and all visible structural components. This is an important opportunity for you to view the house with your inspection consultant. You will receive a wealth of information and a detailed orientation to the home that you are considering to purchase. After verifying that the condition of the property is the same as when the inspection started the home inspection is complete. All deficiencies and maintenance recommendations will be noted by the inspector and included in a final home inspection report within 24-hours of completion of the home inspection. An average home inspection will take between 2 and 3+ hours, depending on the size of the property. Older homes, and larger homes will obviously take a little more time for the inspector to completely and accurately evaluate. If there are many items in the house that have not been properly maintained, the home inspector may need additional time to explain the options you have to either maintain or replace the items. A typical pre-purchase inspection is an introduction to the house and is focused on informing and educating you about the property. A code inspector, on the other hand, works for the local municipality and enforces the local and state codes with little or no concern for your understanding of these codes. A code inspection does not communicate whether or not the house was well constructed. Your home inspector is aware of the local codes; however, the scope of a general home inspection is targeted at providing an informative, detailed and objective evaluation of the house so that you understand the bigger picture of the home in order to help you make an informed real estate decision. The purchase of a home is one of the single largest investments most people will ever make. You should be as informed and educated as you possibly can when considering a home purchase. ​A pre-purchase inspection provides just that. An pre-purchase inspection lets you know the condition of the property as well as identifies the need for any repairs before you buy, so that you can make an informed purchasing decision. A pre-listing inspection is also valuable for sellers if you intend to put your house on the market, a home inspection could identify items that would be called out on a buyer’s pre-purchase inspection, which allows you to be proactive in making repairs. The cost of a home inspection for a single family home varies due to the size and age. The cost can also vary when additional inspection services are requested, such as infrared (IR) thermal imaging, mold & indoor air quality testing, radon testing or asbestos testing. However, you should not let cost be a factor in determining whether or not to have a home inspection performed or in choosing your home inspector. You should consider the money spent as an educational investment that will more than pay for itself. The most important consideration should be the qualifications, training and experience of your home inspector, as well as any professional. In Ontario, licensing is currently being developed for the home inspection industry; however at this time there is no such title as a Licensed Home Inspector. In Alberta and British Columbia this title does exist as licensing is required by ALL home inspectors operating in those provinces. ​In Ontario most professional, qualified home inspectors are Certified members of professional trade associations, ours is the International Association of Certified Home Inspectors (InterNACHI), others include the Ontario Association of Home Inspectors (OAHI), and the Canadian Association of Home and Property Inspectors (CAHPI).